Mario games. 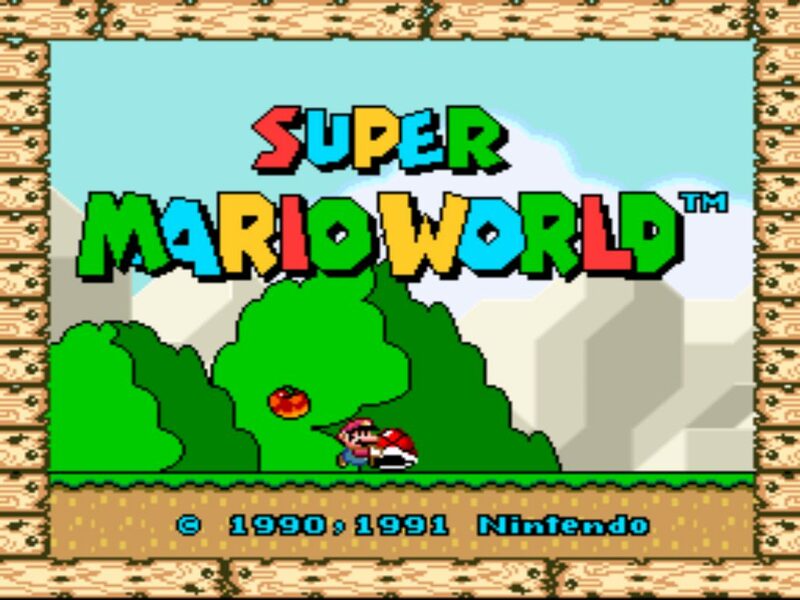 When you’re feeling nostalgic there’s nothing quite like the original Super Mario World to remind your thumbs of younger days. Playing it on the Wii is so much better though because you get to choose between the console screen (if your eyes are feeling young) and playing on the big screen. I spent so many hours with my eyes glued to a teeny tiny Gameboy screen that my eyeballs are thanking me big time for the big screen. Remember when your parents told you that you’d burn your eyes out? Good times. Halloween is over … but Mario has ghosts year-round! There was one level in particular that kept me awake … years later I still remembered the secret exit’s location. Gosh darn Donut Ghost House just about drove me crazy back in the day. I still don’t think there’s any sort of clue to indicate that you need the feather and to fly up to the left side near the entrance. That little information box is absolutely not informative. At all. And they don’t even give you a feather! Many might have given up, but I just had to collect all the coins and find all the secret exits. After all, games are serious business. I do have a confession I need to make though. I didn’t find that exit on my own. I’m ashamed to admit I looked for the cheats … but I just had to find that exit! Now, I know it’s a few days after Halloween so you’re knee deep in Christmas decorations and probably tangled up in a rogue strand of lights in the basement. Maybe that box of decorations is right next to your box of old Mario games. Go ahead. Play a little. You know you want to. After all there’s 52 days until Christmas and Mario needs your help right now! Plus, you know your neighbors are going to hate you if you put up your inflatables before thanksgiving.